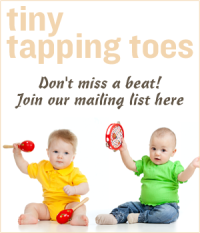 ← Color The Musical Instruments – All The Way Around The World! 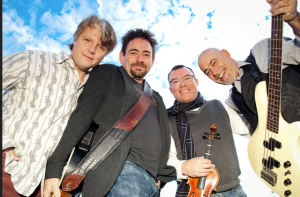 Happy Father’s Day – Meet A Dad Who Really Rocks! A while back I played a music festival in New Jersey and was wowed by the next performer who took the stage – a man called Yosi who rocked the fairgrounds with his four children in tow! After spending a while with Yosi, it was clear to me that he had not only won the hearts of enthusiastic fans but was one of those special dads that really make a difference in the lives of their kids. With an active career making music for the very young, Yosi also recently formed a rocking group (pictured above) appropriately named “The Super Dads”! Yosi (Yosi Levin) was born in the ancient city of Beer Sheba, Israel to parents who came from Poland. 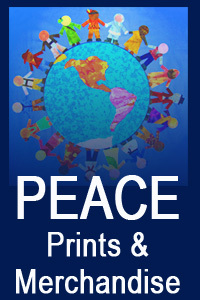 When Yosi was ten years old, his family moved to New York City. A performer and music composer, Yosi studied several subjects but kept finding his way back to music. After marrying his longtime sweetheart, Yosi settled in Island Heights, New Jersey. 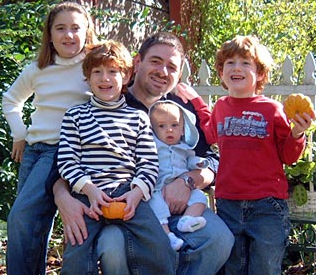 Although he was working full-time as a family therapist he found that creating songs and singing was one of the most a joyful aspect of parenting their four children. Soon he was asked to play for his daughter’s preschool class. Then other teachers, administrators, parents, libraries, and bookstores began requesting Yosi as their entertainer of choice and his larger career began! 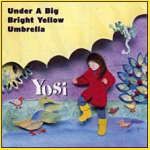 To date, Yosi has released five award-winning albums for children: ‘Monkey Business‘, ‘Under A Big Bright Yellow Umbrella‘, ‘What’s Eatin’ Yosi?‘, ‘Super Kids Rock‘, and ‘…and A Happy New Year. If you’re in the New Jersey/New York area, there are many places to see Yosi live, but you can also wake up to his great music at the website below – or enjoy one of his latest tunes here. 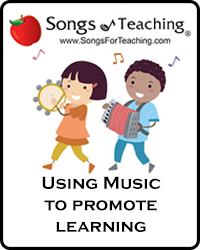 This entry was posted in Babies and Music, Early Learning With Music, Family Fun, Favorite Songs, Holiday Songs and tagged Dads Day music, fathers day music, Super Dads, Wake Up, Yosi, Yosi and the Superdads. Bookmark the permalink. 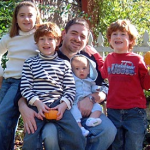 One Response to Happy Father’s Day – Meet A Dad Who Really Rocks! Yosi sounds like an awesome Dad. His children and audiences sound lucky to be able experience his talents. Thank you for introducing my family to him.